What is Period Events & Entertainments Re-Creation Society? The Period Events & Entertainments Re-Creation Society (PEERS) is a non-profit corporation based in the San Francisco Bay Area of California. The organization is dedicated to remembering, researching, and re-creating the performing arts of the past. Their goals include producing and sponsoring original and re-creations of historical works of dance, music, and theatre, with an emphasis on audience interaction. They also support artists and researchers involved in the performing arts of the past. PEERS provides instruction to the general public in the performing arts of the past in their historical context. How does PEERS connect with its audience? So, what if you don’t know how to dance, especially historical period dances? No problem! PEERS offers weekly dance classes. They offer a newcomer-friendly one hour class on Sunday afternoons. A more advanced one hour class for experienced dancers and brave newcomers follows each week. Partners aren’t necessary. Dress is casual for these classes. 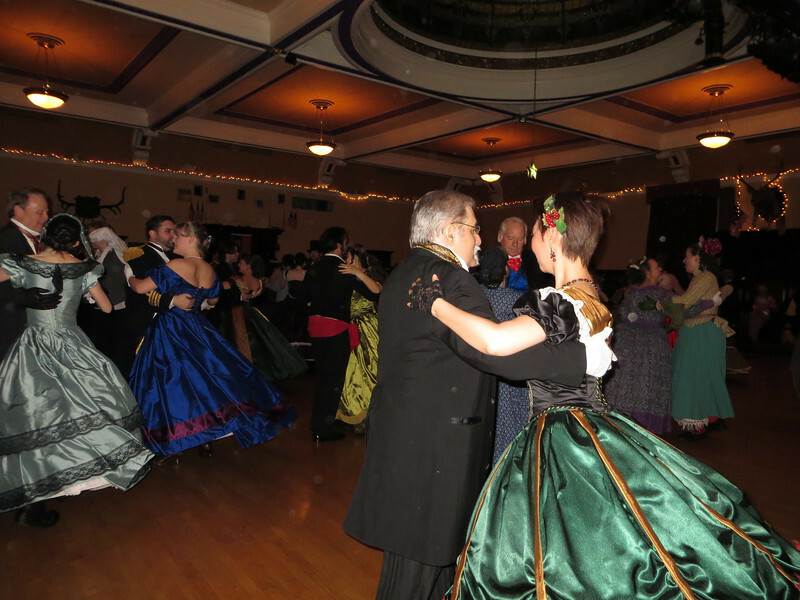 Classes often focus on the dances of the era of their next event, which makes it easier for people to fully participate. If you aren’t comfortable dancing in a group, PEERS also offers private vintage ballroom dance lessons. To support their mission of research, and public participation and education in historical re-creations, people pay admission to their events and for the dance classes. They also accept donations.